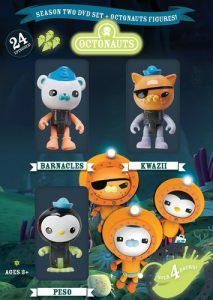 Octonauts: Season Two – Whether You Love The Ocean Or Not, This Is Filled With Information In A Fun Way! You are here: Home / Media Reviews / Octonauts: Season Two – Whether You Love The Ocean Or Not, This Is Filled With Information In A Fun Way! Dive into adventure with your favorite underwater explorers, the Octonauts! Join brave Captain Barnacles, daredevil ex-pirate, Kwazii, medic Peso Penguin and the rest of the crew, as they explore the world s oceans, rescue the creatures who live there and protect their habitats – above and below the waves!<p>Based on the richly imaginative books by Meomi, this series combines immersive visuals and ‘submersive’ humor to transport young children into a world that is both real and fantastic, full of mysteries to unravel and surprises around every corner.<p>In this season set, encounter all types of creatures from the Great White Shark to Lionfish and more! The adventures don’t end there! Embark on an Amazon adventure with the Octonauts as they travel down the Amazon River in search of a lost city and Kwazii’s long lost grandfather, Calico Jack! So come aboard the Octopod for 24 exciting missions! Zoe C., KIDS FIRST! Film Critic, age 10 comments, “The show is based on American-Canadian children’s books by Meomi Design Inc., which make it ideal for young kids! The series is very entertaining and educational. It contains lots of information and if you love the ocean, I definitely recommend this series.” Denise B., KIDS FIRST! 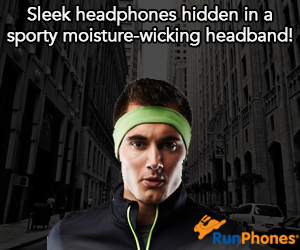 Adult reviewer adds, “. One of my favorite things is how, at the end of each show, they give facts about sea animals such as the Great White Shark and Sea Snakes.” See their full reviews below. Octonauts: Season Two is a very cute children’s television series animated in Ireland and voiced by British actors. The show is based on American-Canadian children’s books by Meomi Design Inc., which make it ideal for young kids! The series is very entertaining and educational. It contains lots of information and if you love the ocean, I definitely recommend this series. You don’t need to watch Season One to understand Season Two. From the very first episode, you are immersed in a colorful underworld, discovering the adventures of the very likable characters. The intrepid Octonauts travel in nautical spaceships and the Octopod and will remind parents of Star Trek and the expeditions of French oceanographer Jacques Cousteau. I like that they work as a team and how they respect each other. Each character brings something different; they have different specialties and each one is unique. My favorite characters are Peso, the penguin and Barnabas the polar bear captain which I found very classy. But, all six adventurers are fun to watch – Kawazii (the cat), Inkling (the Dumbo octopus), Shellington (the sea otter), Tweak (the rabbit), Dash (the dog) and Tunip (half animal, half vegetable). They are not only adorable, but it is easy to relate to them. They all have different accents and, by the sound of their voices, they are different ages too.<p>Everything is very interesting in this show. Each episode follows a different mission where you learn fascinating information about the ocean and marine life in a very fun manner. Each episode is based on one particular sea creature or animal and the Octonauts not only explore the ocean but also protect their habitat. The technology in the series is imaginary, but the creatures are based on real ones. The show’s color palette is beautiful with lots of light blues and greens. It’s quite refreshing and calms you down, which I think is ideal for little ones. I really like the animation, especially the graphic transitions at the end of each episode as it gives a recap (Creature Reports) to the episode and additional information about each animal. Each episode is also focused on a particular conflict or problem, but you can enjoy them individually since there’s no sequence between them. It’s the Octonauts to the rescue! Well, they actually do more than just rescue, but I really enjoyed the rescue. They also explore and protect and I can add another one – they educate young children. The characters are extremely likable and engaging. There are so many different adventures in this season’s collection. I especially enjoyed the one about the Great White Shark which the group needed to rescue and at the same time had to be very careful so they didn’t end up as the Great White Shark’s lunch! The underwater scenes are fun to watch. The dialogue is creative. I highly recommend this for ages 3 through 7. One of my favorite things is how, at the end of each show, they give facts about sea animals such as the Great White Shark and Sea Snakes. I give this 4 stars out of 5 stars for its entertainment and educational aspects. 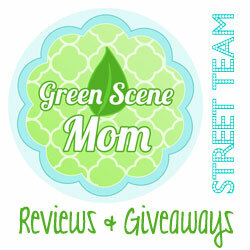 Reviewed by Denise B., KIDS FIRST! Adult Juror.